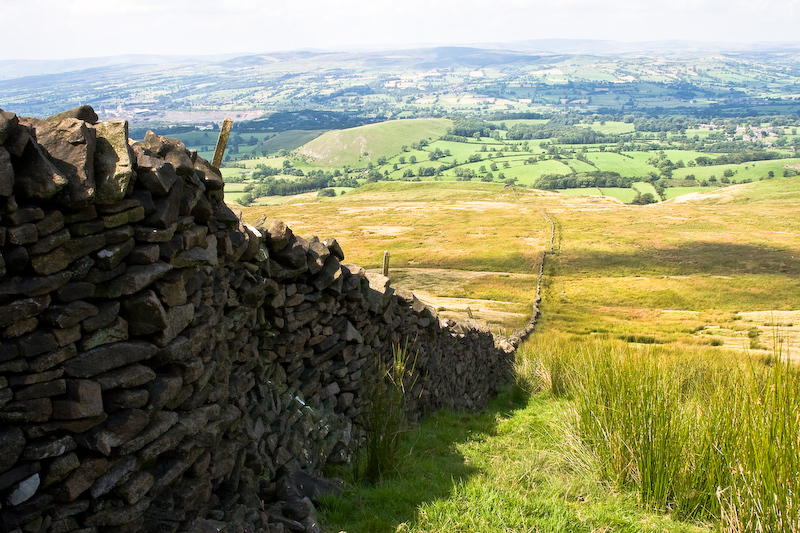 These surveys assessed the condition of boundaries visible from public rights of way, and prioritised lengths of boundary, or small areas, as restoration projects. Each survey consisted of desktop research and field surveys. 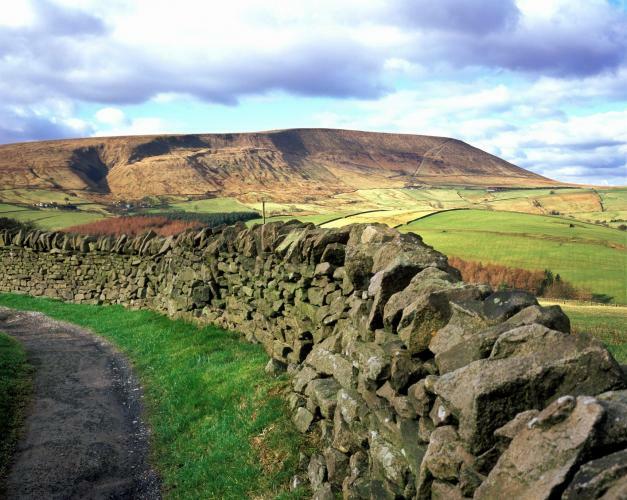 Since the 1990's the Forest of Bowland AONB Unit, led by its team of three Lancashire County Council Countryside Officers, had already been carrying out an extensive programme of traditional boundary repair and restoration. 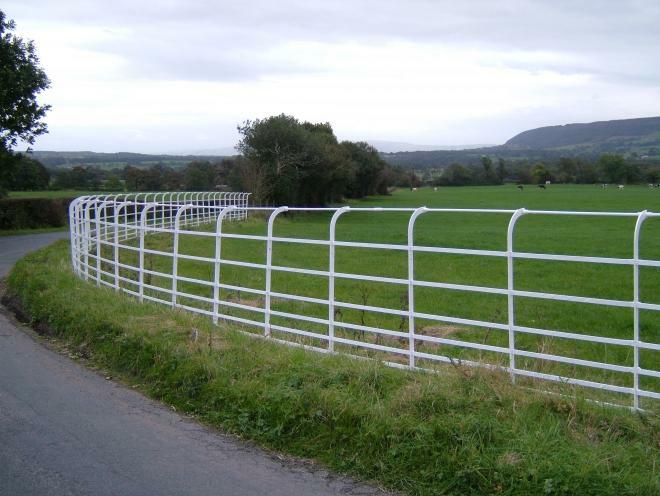 An extension of this programme, targeting the projects prioritised in the parish boundary studies, has since been developed using existing agri-environment grants wherever possible. 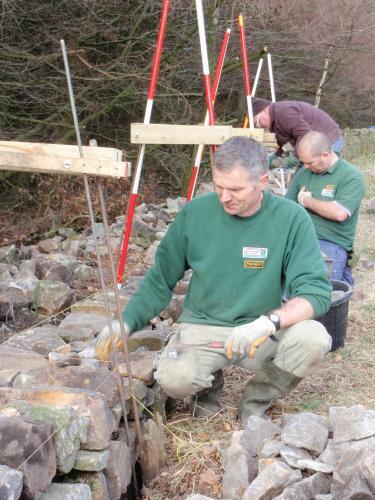 At Beacon Fell country park volunteer rangers from Lancashire and Wyre countryside services, together with local contractors, built up their dry stone walling skills with guidance provided by master craftsman Mike Rushton of Tamarack Outdoors Ltd in the Spring of 2010. 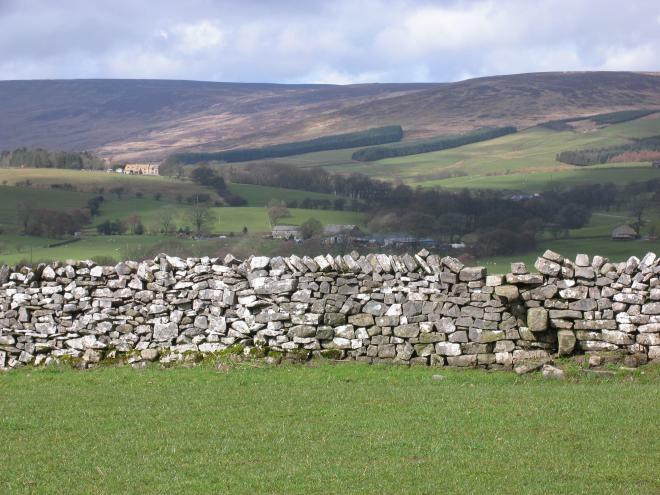 Their training culminated in a two day competition in which each participant had to rebuild a two metre stretch of wall, to standards set by the Dry Stone Walling Association. The winner of the competition, Mick Proctor, has since re built several lengths of wall within the AONB, working as a contractor. Tosside is a village that straddles the Lancashire/Yorkshire border and is reputed to be the smallest village in England. Over time, one of the dry stone walls in the village had fallen down and some of the stone was cannibalised for use elsewhere. This meant that the place looked unsightly, and encouraged people to drive too fast through it as a consequence. 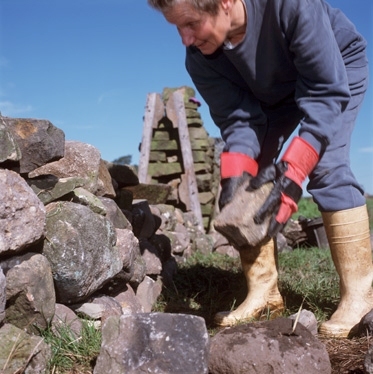 After discussion with the local Countryside Officer, the village obtained a grant to help pay the lengthsman to rebuild the wall with help from volunteers, and with stone donated by local landowners. Many people turned out to help if only to offer encouragement and cups of tea and the local community were proud of their achievement in transforming a local eyesore. The success of this project led directly to a similar project using the same lengthsman but different volunteers at Thorneyholme School where a post and rail fence was replaced with a wall. The wall proves more effective at keeping children and balls inside the school boundary, as well as being more suited to the local landscape. Children at Bowland High School, Sawley, overlook a varied landscape from their classrooms: in the Ribble Valley there are fertile fields of grass and fodder crops surrounded by hedges and fences for dairy cattle; and where the land rises to Pendle Hill there are walled enclosures for sheep followed by open fells and common land. The local Countryside Officer agreed a programme of activities with teaching staff that would contribute to children's understanding of their heritage, the landscape and wildlife. First of all the children described the key features of the landscape around them – the walls and hedges and the stock and crops within them. They then delved into a hedge running the length of the school field finding far more than they expected to – including oak, oak apples and gall wasps. They identified what made a hedge stock proof and fit for purpose. They also described the various habitats and food sources within the hedge for insects, birds and mammals. After deciding what constituted a 'good' hedge, they then planned how to renovate a derelict hedge running across the school fields. They calculated the number of plants required and the species needed to renovate the hedge and enable it to be brought back into management, contribute to wildlife conservation and complement the landscape. The teachers said that the practical, outdoor tasks brought out some unexpected talents from unexpected students, highlighting the benefit of a change of scenery from classroom to field. Chipping village residents said that if they could have one wish, it would be to have all the white railings in the parish re painted. These railings were put up in the 1930s to 1960s as a safety measure round bad bends where overgrowing hedges hindered visibility. When they are freshly painted, they sparkle and add a special touch to the landscape. Unfortunately when the railings get rusted through or damaged beyond economic repair the cost of repainting them has led to them being replaced by post and rail fences. After discussion with Chipping Parish Council, an offer by the AONB unit was made to provide paint if volunteers could be found to assist with the repainting. This led to painting of several lengths of railings over two years. In most cases the local lengthsman painted and organised volunteers to paint but in some cases volunteers took ownership of their own stretches of railings. This contributed to Chipping village winning the Best Kept village competition. Several other villages have followed suit following a similar model. Competitions help reinforce standards and there is considerable pride and 'bragging rights' at stake. We have viewed support for competitions as a good way to raise quality and to gain publicity for traditional boundaries work. An annual 'Bowland' hedge laying competition is held as part of the Lancashire & Westmorland Hedge Laying Association's Grand Prix. 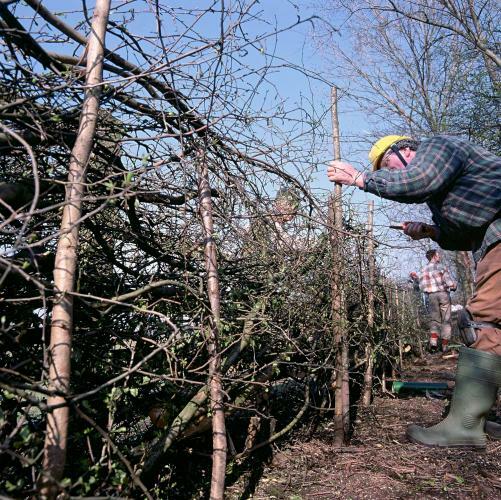 The competition has three classes – Championship, Novice and Open – and attracts both highly skilled practitioners and those new to hedge laying.